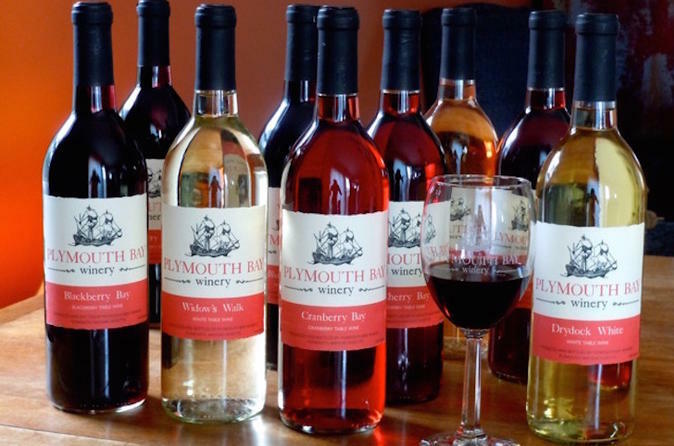 Enjoy award winning wines, wine jellies, and wine sauces in a tasting on historic Plymouth Bay. "Experience Delicious" a stone's throw away from Plymouth Rock. Plymouth Bay Winery helps wine and food lovers “Experience Delicious”! We create products and generate ideas to bring out the “Chef” in you! Located in America’s Hometown, Plymouth, MA, we craft wines (and wine related products) from fruits native to the Northeast USA. Our tastings will take you on a pilgrimage to a New World of flavor! Our collection of wines, produced from locally grown, native grapes and berries, are anything but stuffy. Our wines (and jellies and sauces) are fun, versatile companions to a wide range of dishes at every meal. Daily tastings include a presentation and sampling of our entire collection of wines. Take home an etched, commemorative glass as a memory of your experience.